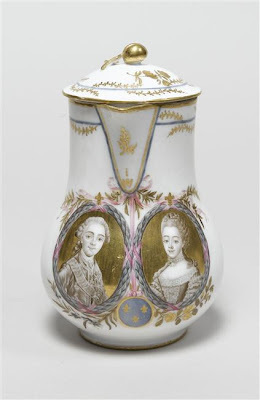 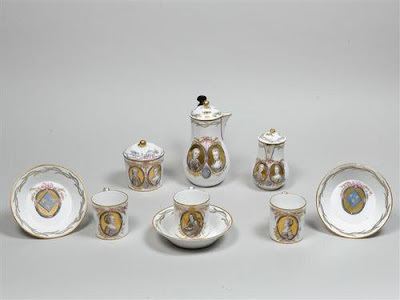 Coffee-pot with portraits of Louis XVI and Marie Antoinette. 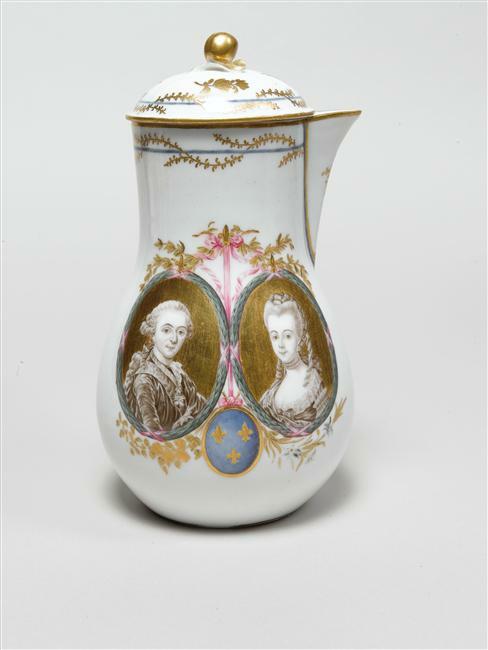 Milk jug with images of the Count and Countess of Provence. 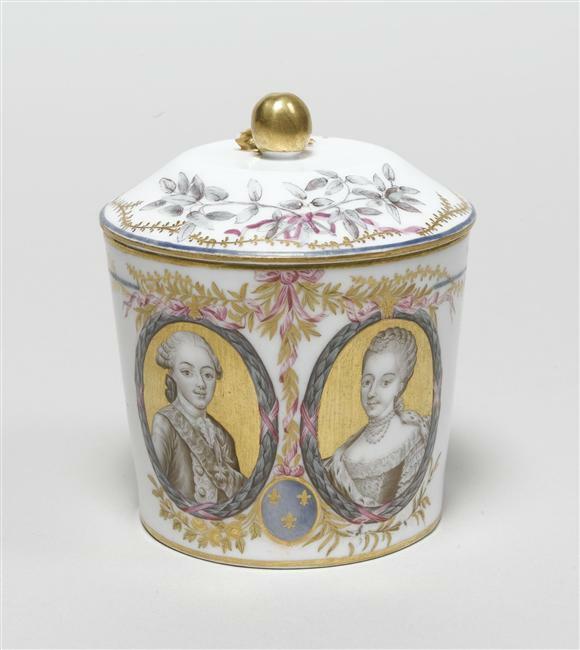 A covered sugar-pot decorated with images of the Count and Countess of Artois. Saucer and coffee cup with the portrait of Madame Elizabeth. Saucer and coffee cup with the image of Madame Clothilde. 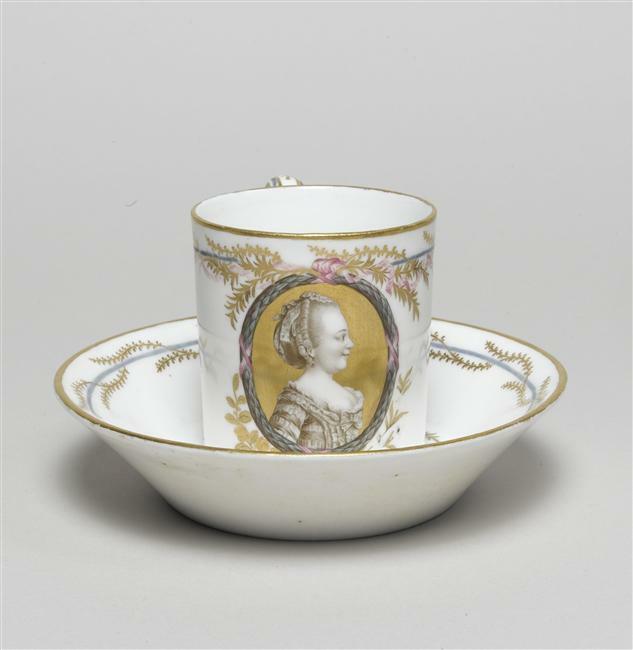 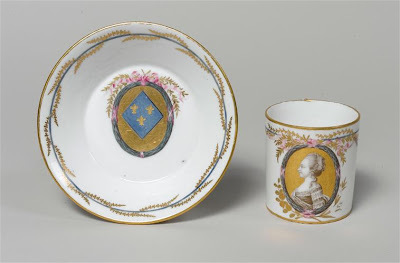 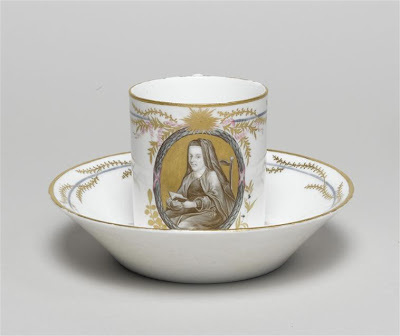 Saucer and coffee cup with the image of Madame Louise of France, who was a nun.